(1) What if I could speak all languages of humans and of angels? If I did not love, I would be nothing more than a noisy gong or a clanging cymbal. (2) What if I could prophesy and understand all mysteries and all knowledge? And what if I had faith that moved mountains? Without love I would be nothing. (3) What if I gave away all that I owned to feed the poor? What if I surrendered my body to be burned alive as a martry? Without love I would gain nothing. 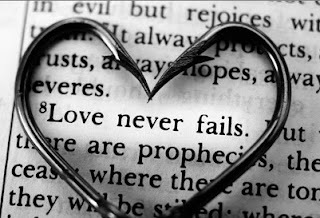 (4) Love is kind and patient, never jealous, boastful, or proud. (5) Love is not rude, selfish, or quick tempered. It doesn't keep a record of wrongs that others do. (6) Love rejoices over good things, but never in evil. (7) Love is always supportive, loyal, hopeful, and trusting. Now we see how the astronomical evidence leads to a biblical view of the origin of the world. The details differ, but the essential elements are the same: the chain of events leading to man commenced suddenly and sharply at a definite moment in time, in a flash of light and energy. Astronomers now find they have painted themselves into a corner because they have proven, by their own methods, that the world began abruptly in an act of creation to which you can trace the seeds of every star, every planet, every living thing in this cosmos and on the earth ... That there are what I or anyone would call supernatural forces at work is now, I think, a scientifically proven fact"
Jastrow believes "supernatural forces" (i.e. "God") is now a "scientific fact" because science follows its own scientific method and knows: (1). Whatever begins to exist has a cause; (2). The universe began to exist; (3). Therefore the universe has a cause (i.e. 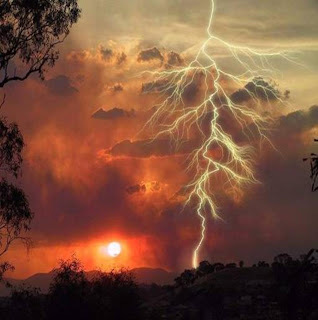 "God," "The Intelligent Designer," "supernatual forces."). Now, for the money quote. The price of the book is worth what Dr. Jastrow writes next. I laughed out loud when I read it. "For the scientist who has lived by his faith in the power of reason, the story ends like a bad dream. He has scaled the mountains of ignorance; he is about the conquer the highest peak. As he pulls himself over the final rock, he is greeted by a band of theologians who have been sitting there for centuries." Monday was one of the toughest days for me in over a quarter century of pastoral ministry. A friend--a man respected in our community--took his own life. I know him as a Christian man. Fourteen years ago, while playing a round of golf with him, we paused for a few minutes on the 15th tee box where he prayed to receive Christ as His Lord and Savior, the wonderful culmination of sharing Christ with him over several months. His suicide letter, left for family and friends, articulated the reason for taking his life--enormous personal/business debt. The letter contained a clear expression of his faith in Christ, and a request that people forgive him for what he was doing; but he wrote that he saw no other way out. Last night, after several hours of reflection on the last day's events, I wrote the following letter to my friend who took his own life. As I picked up and read your note from the living room table yesterday afternoon, I had to blink away the tears. I had just come from the back bedroom where your dead body lay. Your mom was weeping quietly on the couch, and the ambulance's siren was wailing and echoing toward the house. The hurt and shock of it all hindered my full comprehension of what you had written in your letter. The police would take your letter with them, but I remember your main points. You wanted your friends' and family's forgiveness for what you were doing, you knew you had God's forgiveness through Christ Jesus, and you were taking your life because you saw no way out of your problems. Fine. Now it's my turn to write a letter to you. I can't write for anyone but myself, but after spending the rest of yesterday and several hours this morning with your family and friends, I think my few, brief words reflect what those who love you feel. You have done the most incredibly selfish thing a human being can ever do. You have believed that your pain and your problems are deeper and more foreboding than the pain and problems you leave behind for others because of your self-inflicted death. The searing throbs in the broken hearts of those you love are almost audible. The tears of your loved ones sting them like hot irons pressed on flesh. Surely you considered the emotional devastation your suicide would create, right? Then, why? Why did you do it? Had you become so self-absorbed the last few months that you lost your way and forgot God's call on your life to only and always love others more than yourself? You and I both know our lives are designed by God for the benefit of others. God's grace in your life turned you into an incredibly selfless and loving person. But where is your graciousness and love in death? You died in an extremely selfish state. I know, I know... you thought that ending your life would be a way of escape for you--and possibly others--from the pain of having to face your problems. On the contrary, your death and your willful absence from the lives of loved ones brings searing torment that is far deeper than you can imagine. You have family asking, in feelings of guilt, what they could have done to prevent your death. Others, those who often received encouragement and spiritual comfort from you, are now wondering if your spirituality was simply hypocrisy. Some loved ones are even pondering whether Christ really does give meaning to a life, because if He does, what happened to your sense of purpose? Do I sound angry about what you've done? Truth is, I am. I'm angry that you thought more of yourself yesterday than you did others. I'm angry that your self-inflicted death has brought so much agony to the people who love you. I am angry that you were so doggone selfish yesterday. Yet, I refuse to let your life be defined by your death. Your life meant so much more. That's why when I see you in heaven, I'll hug you, then give you a belt to the chin, then hug you all the more. Our relationship will not be--cannot be--ultimately defined by your death. It will be forever defined by our mutual life in Christ. It's just hard for us right now. Some people said to me today, "How can he be forgiven of suicide? Is it not the unpardonable sin? He had no time to repent?" I understand their thinking, but I simply explained to them that one of these days we also will die, and there will be many unconfessed sins in us as well--even unseen sins of the heart such as selfishness, pride, envy, etc ... Thank God our forgiveness of sins is tied to the fidelity of Christ's work at Calvary and the power of His resurrection from the tomb and not our ability to remember, confess and repent of every single sin in our lives. We serve a gracious God who atones for sin through His work, not ours. I feel better after writing this letter. Day after tomorrow we will remember and celebrate your life at a memorial service. When your family sits in front of me it will be my task to help them see past your death to the goodness of God in your life. It's my belief I can only do that after I help them deal with your suicide through both truth and grace. Your suicide was an incredibly selfish sin; that's the truth. Your sin has caused us to fluctuate between feelings of sadness and anger. But we shall not remain there in our feelings. We've been forgiven by God so totally and completely that we can't help but forgive you; that's grace. I would like for those who are even remotely considering taking their own life to know that your example in death is not worth following. But your example of life in Christ is. It is impossible to ignore the pain you have brought us by your sin of suicide, but we shall rejoice in the grace that God brings to all us sinners through His Son Jesus Christ. He is our Balm in Gilead, and to Him we look for our healing. For several years I have been asking myself a question that has not been easy to answer. "Why is it that some in the Southern Baptist Convention treat those who disagree with them in what often seems to be such a mean and uncivil fashion?" It's not like we Southern Baptists are not Christians. It's not as if the Spirit of God has not done a work of grace in our hearts. We are all part of the family of Christ. We know Him our as Savior and Lord. Why, then, do we often treat each other with so little civility? That's been the question I've contemplated these past few years. Something happened this past week that caused me to see a possible answer to my question. During a meeting with six prominent SBC pastors and leaders, one of the pastors, a friend whom I highly respect, made a statement about another Southern Baptist leader in our state. My friend said this of another SBC leader in the state, "When he prayed at the Oklahoma Governor's Inauguration, he didn't use the name of Jesus in his prayer. I don't know about you guys, but I would never do that in a similar situation." The SBC leader who prayed at the inauguration holds an earned doctorate from a Southern Baptist seminary, has taught seminary and college level courses in the languages, and has served as interim pastor of several large SBC churches in Oklahoma--his only fault is that he's often identified with the SBC "moderates" in our state, though he himself is very conservative in his theology and his views of Scripture. This man, like the man who mentioned him in the meeting, is a friend to me and also highly respected by me. As I reflected on the statement about my friend--a statement made by another friend of mine--it began to dawn on me why it is we Southern Baptists often are unkind toward those who do things different than us. It is summarized in the second sentence of my friend. "I would never do that in a similar situation." There sometimes seems to be a sense of spiritual superiority within Southern Baptists--a superiority which is the tell-tale sign that God's grace, though preached, is not really understood. Nobody can ever "feel" superior when we believe that everything we are and everything we have are gifts of God's grace. When an understanding of God's grace so fills our hearts, we unconditionally love people who are not like us. We refuse to judge people who act differently than us because we don't feel superior when we honestly believe anything good we possess (i.e. 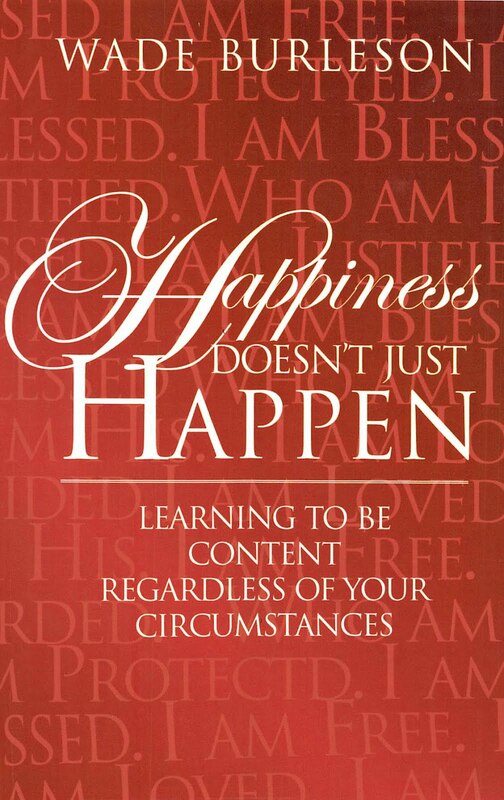 "wisdom, character, fidelity, courage, etc...) is a result of God's grace in us. Graced people find it very, very difficult to condemn somebody for doing something in a manner different than what they would do it. When Paul wrote to the church at Corinth he described the Christianity in terms of love by saying, "love it patient and kind... love does not boast and is not arrogant." It seems to me that we Southern Baptists often lack real love for our brothers and sisters in Christ because we misapprehend God's grace. This misapprehension of grace leads to feelings of superiority and a boasting to others of our ability to not err as our brothers do. Rather than just accepting people as they are and where they are, we look at those in the Southern Baptist Convention (or Christianity as a whole) who are different than us as 'inferior' Christians. It's almost as if we think Christianity is not a walk of grace, but a walk of works, and unless people start working and acting like us, then they need to be "corrected" rather than loved. I discussed this subject with one of our Sunday School classes yesterday and told them the story of the Vietnam veteran who came to Christ a few years ago in Enid. 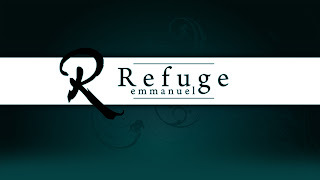 He faithfully attends Emmanuel, rarely leaving his own house except to attend our church. One of the first services he attended at Emmanuel (shortly after coming to faith in Christ) was a very moving worship time. As I was greeting people at the front of the sanctuary after the service, this man, overcome with emotion because of the worship service and message he had just heard , reached out to shake my hand, tears filling his eyes, and said to me in the hearing of several of our senior adults, "Pastor, that was one hell of a message." I didn't correct him. I didn't instruct him that he shouldn't say that in church. I simply hugged him and thanked him and told him how much his compliment meant to me. I don't know that I did anything different than what any other SBC pastor would have done in my shoes--it just seemed to me to be totally demeaning to "correct" a man who was simply expressing the spiritual fulness he felt in a manner with which he was most comfortable. What does this story have to do with my post? Well, I tell it to make a point. When a new convert is overwhelmed with grace--and that grace spills over to us--we are often patient and kind. But when we get "professional" in our Christianity we sometimes start making statements that belie any understanding of grace. In short, the problem we face in the SBC often comes from within us. Hopefully, in the very near future, my two friends and I can get together for lunch and we can rejoice in how God has made us different--and love each other in spite of our differences. An advantage of having a blog that is is somewhat widely read is that I get letters and emails from people all over the world who have various opinions on a variety of issues. The following letter came to my email from a Christian man named "Chuck Brown." Chuck is greatly concerned about our health care system in the United States and he wrote a letter articulating how he felt Christians should view the health care debate. I do not necessarily agree, nor disagree, with Chuck's letter. I'm still processing much of what he writes. However, with his permission, I am posting the letter below and asking you, my Christian brothers and sisters in Christ, to respond to his arguments for government health care. The only rule of thumb for the comment stream is that I ask you respond with your viewpoint in a kind, gracious and civil spirit. 1) I would like to see the uninsured become insured. As a Christian, I would have to do that even if it was not what I wanted to do, but I want to do this. I make under $250,000 per year. Nonetheless, if it were to come down to it, I would be personally glad to pay more taxes to help these uninsured people. It is just plain the right thing to do. 2) The private health insurance interests are not in business to provide health care. They are in business for the same reason most other businesses are — to make money and as much of it as possible for their stockholders — and I am probably one of those stockholders. Back in the late 1980s, the private health insurance interests duped American businesses into thinking that they could control skyrocketing health care costs by taking over virtually the whole system. No doubt some cost savings were achieved for a while early in the game. Nonetheless, the overall costs of private health care kept rising at a tremendous annual rate over time, and it is still rising fast. One of the reasons was private health insurance profits. I recently read an article that highlighted the story of a man who was a manager in a private health insurance company for 3 years. Most companies and small businesses feel fortunate to take home a 5 percent or 10 percent annual profit. The insurance manager said the annual profit for his company, over those 3 years, were 29 percent, 37 percent, and 49 percent. Where does that come from — your pocket and mine — while the cost of health insurance continues to skyrocket. Private health insurance is expensive because it is the only game in town. When you are the only game in town, you can jack prices into the stratosphere. The government-run option in the health care reform plan would create the competition and price control pressure necessary to put an end to this. If you dislike the multi-million dollar executive bonuses at failed Wall Street investment banks, the private health insurance rip-off should have your soul literally on fire. If it does not, you need to pinch yourself to see if you are still alive. 3) How soon we all forget. Many of us have selective amnesia, but I do not. I actually remember the time about 10 years ago when the private health insurance interests were denying treatments and drugs to patients right and left so they could line their pockets with the proceeds from human misery. That all changed rather suddenly when the federal politicians started getting seriously interested in something called “health care reform.” The naughty boys among the private health insurance interests saw dad reaching for his belt, coat, and the pathway to the woodshed. Collectively, these interests decided they had better “cool it” and get really reasonable with their patients --- that is until the storm blows over. They did get more reasonable. However, you folks out there have to understand that they did this only because of their fear of the looming fight ahead — the one we are in right now for real health care reform. If the private health insurance interests win this health care reform fight we are in now, they will be King of the Hill – alone on top — no challengers — all enemies vanquished — in total control — answerable to no one — with absolute power over your health care. As the old saying goes, “absolute power corrupts absolutely.” If they win this time, the cancer treatment that is merely questioned today could be denied next year. The expensive drug your son desperately needs to stay alive this year could be denied next year. There will be, quite literally, no one to stop the private health insurance interests, and they will do what they have always done — take maximum financial advantage of their wonderful new situation while your loved one sinks deeper into illness. 4) Be on the lookout for lies. The private health insurance interests and their cronies are in the BIG LIE business right now. One of their biggest lies is that government health plans do not work. That is not true. There are some problems in Canada and Great Britain, but even those are being addressed. They made some bad planning decisions. You will hear a lot about how Canada and Great Britain failed, so that must mean we will fail too. What they do not tell you is that Germany, Japan, Taiwan, and Switzerland have universal government health insurance that works very efficiently and is a lot less expensive per person than our current private health insurance system. Taiwan actually studied what Canada and Great Britain did wrong, so they could identify their specific mistakes and avoid them — which they did. It has been a tremendous success. If we Americans can put a man on the moon, we can do even better than Taiwan did with health care. An associate of one of my close friends had a teenage son who was recently on travel in Great Britain. Somewhere in London, he had the great misfortune of getting his arm broken. Naturally, they rushed him to the hospital. He had good American health insurance. Was he denied help because he was a foreigner? No. Did he have to wait for hours in a long line for care? No. They treated him right away. He flashed his American health insurance card at them, and they laughed at him. “You don’t need that here,” they said. They fixed him right up and had him on his way to a full recovery in no time. What were the hospital and doctor charges? It is my understanding that they were ZERO. Therefore, as a fellow Christian, I urge you to be watchful on this issue in both directions. If you are skeptical of the current health care reform program that is taking shape in the U.S. Congress, I would urge you to be equally skeptical of the private health insurance side. Some of the national news outlets like CNN (particularly Anderson Cooper Live 360º (at 10:00 p.m. EDT and 9:00 p.m. CDT) have spots each night where they examine the claims on both sides to see who is actually telling the truth. It is crystal clear to me that the great weight of flat-out LIES is being told by those who are opposed to health care reform. Jesus would not have us take sides with a position that is caught nightly in a perpetual state of lying to the American people. When the Son of man shall come in his glory, and all the holy angels with him, then shall he sit upon the throne of his glory: 32 And before him shall be gathered all nations: and he shall separate them one from another, as a shepherd divideth his sheep from the goats: 33 And he shall set the sheep on his right hand, but the goats on the left. 34 Then shall the King say unto them on his right hand, Come, ye blessed of my Father, inherit the kingdom prepared for you from the foundation of the world: 35 For I was an hungred, and ye gave me meat: I was thirsty, and ye gave me drink: I was a stranger, and ye took me in: 36 Naked, and ye clothed me: I was sick, and ye visited me: I was in prison, and ye came unto me. 37 Then shall the righteous answer him, saying, Lord,when saw we thee an hungred, and fed thee? or thirsty, and gave thee drink? 38 When saw we thee a stranger, and took thee in? or naked, and clothed thee? 39 Or when saw we thee sick, or in prison, and came unto thee? 40 And the King shall answer and say unto them, Verily I say unto you, Inasmuch as ye have done it unto one of the least of these my brethren, ye have done it unto me. 41 Then shall he say also unto them on the left hand, Depart from me, ye cursed, into everlasting fire, prepared for the devil and his angels: 42 For I was an hungred, and ye gave me no meat: I was thirsty, and ye gave me no drink: 43 I was a stranger, and ye took me not in: naked, and ye clothed me not: sick, and in prison, and ye visited me not. 44 Then shall they also answer him, saying, Lord, when saw we thee an hungred, or athirst, or a stranger, or naked, or sick, or in prison, and did not minister unto thee? 45 Then shall he answer them, saying, Verily I say unto you, Inasmuch as ye did it not to one of the least of these, ye did it not to me. 46 And these shall go away into everlasting punishment: but the righteous into life eternal. Ultimately, health care reform is not about whether you are a Republican, Democrat, Libertarian, Constitutionalist, or whatever else. It is not about whether you are conservative, liberal, independent, or apolitical. It is not about whether you despise Barack Obama or like Barack Obama. 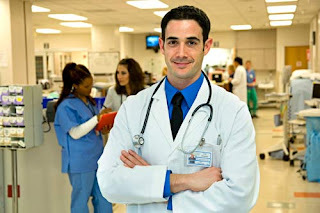 Health care reform is about “…the least of these...” among us and our ability to make some changes that will help them. Therefore, I would urge you to please support the health care reform bill that is taking shape in the U.S. Congress right now. Write to you elected representatives and ask them to support health care reform, including the government-run health care option to serve as “checks and balances” on private health insurance costs and excesses. As you consider this, please remember that security in this world is promised to no man, woman, or child. Life may look good for you right now, but tomorrow you and your children could quickly find yourselves counted among “...the least of these...” All it takes is a lost job, a mortgage foreclosure, a business deal gone bad, a serious car accident, a major illness, and many other unforeseen things. Too many of our neighbors all over this great country of ours have found this out the hard way just over the past 9 months. 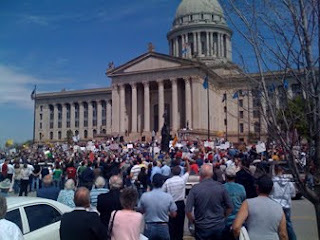 God bless you and thank you for giving consideration to this important issue." "Anyone who has been to seminary knows that Arthur Flake was the father of the modern Sunday School. One of Flake's principles for growing a church's Sunday School could be summarized in the words "build it and they will come." 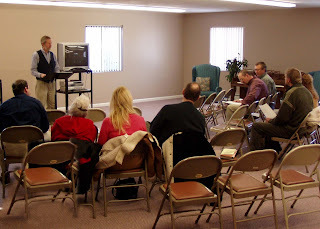 Flake assumed that Sunday School would always be the primary means of outreach for churches. For decades, he was right, especially in the post-World War II baby boom years. In growing suburbs across America, virtually all you had to do was build a church, throw open the doors, and find yourself in need of even more space very shortly. 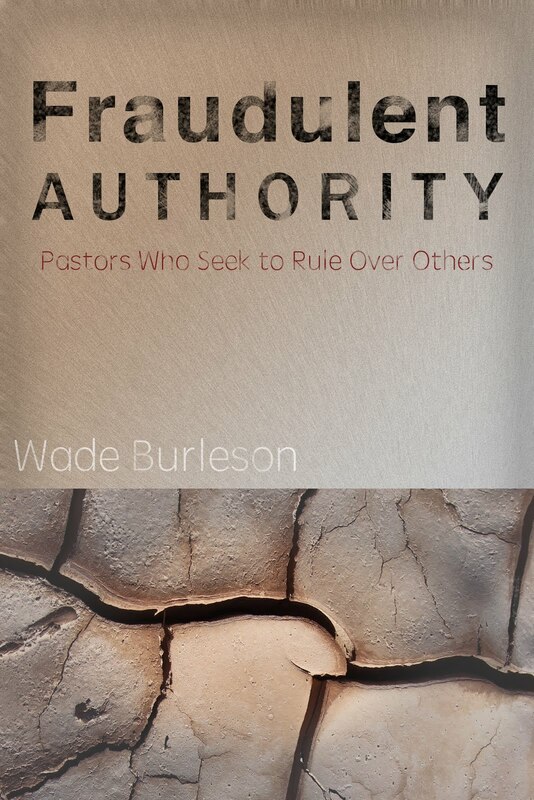 Whole generations of pastors and educators were trained in that paradigm of church growth. Flake's formula failed to take two major factors into consideration. For one, a day was coming in the post-modern world where, in many places, Sunday School would cease to be the most effective way of reaching people. The major flaw in Flake's paradigm was that church growth was too narrowly defined by how many people you could get into the church building on Sunday morning, a standard most Baptist churches still use to define the success of their professional leadership. Another factor overlooked by Flake's formula was the natural tendency of church people to become territorial. After a few weeks in the same room, that room becomes the exclusive domain of the people who meet there for one hour a week. The result was the billions of square feet at a cost of uncountable billions of dollars have been built since WWII that sits empty for seven days a week, except for one hour on Sunday. The back-hook of territorial thinking is that, before long, the building owns the church, literally defining and driving the church's mission." The comments above are from Glen Schmucker in an article he wrote entitled "Survivor: The Story of a Pastor and a Church" shortly after resigning from Cliff Temple Baptist Church in Dallas, Texas, reprinted in the Fall 2008 edition of Christian Ethics Today. Glen's insight seems keen. I often wonder in our churches, denominations and Christian ministries how many times we let the established program, the buildings, the overheard and traditional annual budgets, the fear of change and loss of personal influence, and the crystallized mentality of "That's the way we've always done it" drive our purpose and mission vision? Rachelle and I spent our 26th Wedding Anniversary (August 6) at the Embassy Suites in Norman, Oklahoma, attending the Midwest Regional New Baptist Covenant Conference. The embedded video above is Friday night's General Session. My message closed out the conference and it begins at the 1 hour 30 minutes mark of the video. I have been asked by several people to provide a transcript of the message, which I will do (below), but it is always better, in my opinion, to hear the tone of a speaker in order to help understand the full meaning of the message. For this reason I would encourage those of you who can to watch the video and not just read the transcipt. (1). I was refreshed by the humility of all those I heard speak, sing or share testimonies. There didn't seem to be any ego, any agendas, just a simple desire to honor Jesus Christ. (2). I was personally blessed by some powerful messages and testimonies. I've already mentioned my new friend Ellis Orazco's message (previous post), but both Kim and Brad Henry's respective testimonies spoke very deeply to my heart. In addition, I really enjoyed hearing Pastor Major Jemison of St. John's Baptist Church speak and Sarah Stewart share her testimony of being called to ministry. (3). 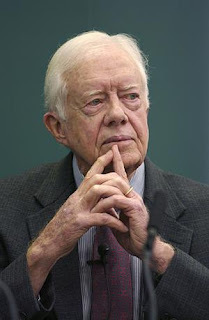 I am writing a post about Jimmy Carter for next week, so I will reserve any comments regarding the former President until then, but for anyone who would question the man's genuine Christian character or sincere desire to serve Christ and His people, I offer this one little anecdote about the former President's trip to Oklahoma - he had to leave immediately after he spoke in Norman because it was his turn as deacon at Maranatha Baptist Church in Plains, Georgia to mow the church yard on Saturday morning. He doesn't pass this job off on others. Mr. Carter, now 84, mows it himself. (4). While listening to the speakers at the Conference, my wife leaned over to me and whispered, "I've heard more about Christ and what it means for us to honor Him than any Convention I've attended in a long, long time. These folks aren't either heretics or infidels like we've been told." I agree. (5). I enjoyed making new friends and enjoyed fellowshipping many Southern Baptist Convention friends who attended the Conference. (6). Everything was very professionally done, including the hiring of the same production crew who produced the 2007 Oklahoma Centennial Celebration at the Ford Center in November of that year. (7). The diversity of the people attending was refreshing for me as well: Blacks, whites, hispanics, Indians, men, women, young, and old - there was a good mix of Baptists from various backgrounds. (8). A gripping and award winning video on the history of Baptists and racism was shown at the Conference. I look forward to using the video in my own church. (9). Never in my personal history of twenty five years of preaching ministry have I had a more personally moving and fulfilling time than the thirty minutes after the Friday night message when many people waited to speak with me personally. Their stories, their tears, their encouragements will never be forgotten. "Shortly before His betrayal, Jesus gathered His disciples around him and said, “A new commandment I give to you, that you love one another, even as I have loved you, that you also love one another. By (your love for one another) all people will know that you are my disciples” (John 13:34-35). First, respect the dignity of every person by not merely tolerating people but valuing them. Third, reinforce the protection of the freedoms of speech and religion for every individual within our respective cultures. Warren proposed that in this very diverse world, when Christians and Muslims model this mutual respect and love for each other, while protecting the freedoms of the individual, an even greater common good will arise–-peace. Warren pointed to the 60,000 different kinds of beetles as evidence that the God of all peace loves diversity. As for me, I believe that God’s love for diversity is irrefutibly proven by the 60,000 different kinds of Baptists God has created. Rick Warren--a family friend since the late 1970’s when he attended Southcliff Baptist Church, a church which at the time was pastored by my father–-acquited himself and all evangelicals quite well in his speech before those 40,000 Muslims. 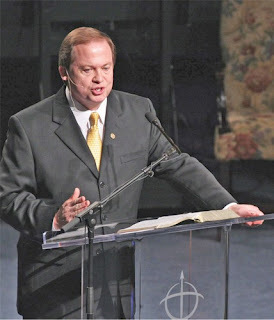 Some Baptists have expressed surprise that the Muslims issued Rick an invitation to speak. Other Baptists have expressed regret that he accepted. My disappointment is that the different kinds of Baptists like those of us represented here at the New Baptist Covenant Conference, and others who are not here, were not in the audience in Washington D.C. to hear the speech ourselves. For it seems to me that we Baptists can never really value Muslims, treat them with civilility, or grant them the freedom to speak and believe as they see fit until we first learn to treat our different kinds of Baptist brothers and sisters around the world in the same manner. In other words, until I can treat all my Baptist friends with dignity, value them as people, and respect their views-–particularly and especially those Baptists who disagree with me--it will be impossible for me to treat Muslims in the same manner. Likewise, until my liberal or moderate Baptist friends experience Christ’s love in their hearts for me, a theologically conservative Baptist, and until they value my personhood, respect my views, and work with me toward a greater common good, it will be impossible for them to do the same for Muslims. The greatest barometer for how well we Baptists understand the importance of agape love, which Scriptures call the distinguishing mark of followers of Jesus Christ, is our treatment of each other. This evening I would like to make a personal confession to you, my Baptist brothers and sisters, who do not see eye to eye with me either theologically, socially, morally, spiritually or politically. I come from a long line of Baptist preachers. The Burleson family settled in Texas with one ancestor, Dr. Rufus Burleson, becoming the first President of Baylor University. My branch of the Burlesons moved to Oklahoma at the turn of this century, and and several of the Burlesons would eventually become pastors or missionaries. We like to talk about the Baptists in our family, but don’t often mention the Burleson who is the only person to ever escape from Alcatraz (smile). I have served two terms as President of the Baptist General Convention of Oklahoma, and now I pastor a large church in northwestern Oklahoma. Tonight I speak for myself only. My confession and corresponding repentance is personal, spoken with a heart that genuinely desires to do my part to build bridges between all Baptists who name Christ as Lord. The people I pastor know what kind of Baptist I am-–Calvinistic in my soteriology, partial-preterist in my eschatology, open communion in my ecclesiology, conservative in my theology, inerrantist in my bibliology, and continuationist in my pneumatology--( I know that sounds like a medical diagnosis, but they are the proper labels for my theological views). I held these views when I began pastoring over a quarter of a century ago, and I hold to them unto this day. I have not changed what I believe, but I myself have changed in one very critical area over the past few years. It has been said that when the old Irish immersed a babe at baptism they would leave out the babe’s right arm so that it would remain “pagan for good fighting.” I have sometimes wondered if it is our custom as Baptists to plunge all but the convert’s mouth into the baptismal waters to keep the Baptist tongue “pagan for good fighting.” I confess that in years past, it has been easier for me to stand behind a principle and say something negative about the character of those who disagree with me than to simply love my fellow Baptists who do not see eye to eye with me theologically. I have not changed what I believe, nor have I moved away from a conservative view of the infallible sacred text, but what has changed is the need to point out that people who disagree with in interpretations of the Bible are less Christian, less “spiritual,” less loved by God than I. This is simply not true. The love of God for His people never changes or wanes, regardless of our actual or imagined theological unfaithfulness. Or perhaps it should be stated by me more precisely. God’s love for His people never wanes or abates regardless of my fellow Baptists actual or imagined theological unfaithfulness. Jesus warned us that we tend to focus on the speck in our brother’s eye while ignoring the plank in our own. I am now committed to follow the commandment of my Lord and to display total and unconditional grace, kindness and love to all my Baptist brothers and sisters in Christ, regardless of our theological differences. You are more important to me – more so than even my principles–-and this is both biblical and Christian. To me, this is the peculiar mark of real, genuine Christianity. This, of course, does not mean that we should not speak out when we perceive an injustice against God’s people. It is often the wise and prudent course to graciously keep silent when we hear fellow Christians voice interpretations of Scripture that are contrary to our own interpretations, knowing that we are fallible people dealing with a sacred text. But when a fellow human being, ESPECIALLY a believer in Christ, is personally being abused or mistreated, our silence or non-action can never be justified or condoned by Christ and His sacred command to love one another. Those who risk everything to correct injustices against Christ’s people, who diligently protect the powerless in God’s kingdom, who defend the downtrodden in this world, who rescue the abused, and who care for the needy are expressing the love that Christ mentions as the peculiar mark of His followers. It has come to my attention these past few years that my sisters in Christ within the Baptist faith are often in need of such defense. The parallels between the modern American Baptist woman and the 19th century American Baptist black are numerous. To defend a gifted Baptist woman today is considered by some Baptist men as an unbiblical act. To call any mistreatment of Baptist women today “un-Christian” is tantamount to treason in the eyes of some Baptist leaders. Many Baptists believe, particularly in the Southern Baptist Convention, that to defend Baptist women and to attempt to set them free to serve to the full extent of God’s call and giftedness in their lives is a denial of the faith. But I propose that any action taken to prevent the mistreatment of Baptist women in ministry is the most loving thing that can be done to both the victim and the one who is oppressing. In my opinion, the protection of a Baptist women who minister is the fulfillment of Christ’s biblical command to love each other as Christ has loved us. When our church contacted Sheri a few months after her termination, we discovered she was selling pints of her own blood to help meet medical expenses for her husband. Regardless of one’s views regarding women “teaching” men at Baptist seminaries, the question each Baptist faces is whether or not the treatment of Sheri Klouda fulfills Christ’s commandment that we love one another as Christ has loved us. If it does not, then something must be done. The God who shed his blood for us would not want us turning a blind eye to His people selling their own blood for the sake of others. Over several months our church helped raise over $20,000 dollars for the Klouda family. Christ’s command to love one another precludes silence or indifference when injustices occur. We are not even allowed by our Lord to hide behind our principles when it comes to loving His people. Our love should reach beyond our theology. For this reason, it seems to me that if we Baptists are serious about loving one another in the manner that Christ has loved us, then we cannot, we must not, remain quiet or silent when we see our Baptist sisters in Christ suffer. Baptist women in ministry, believers like Sarah Stewart, from whom we heard a testimony tonight, are women we are called to love, support and protect. These women profess a call from God, show real evidence of being set apart by Christ, and have experienced the empowerment of the Holy Spirit to proclaim Jesus Christ and Him crucified to the world–-yet many of them are being subjected to abuse, and that by Baptists. When our Baptist women in ministry experience such personal mistreatment, ridicule or harm, we are commanded by Christ our Lord to bind up their wounds-–and sometimes we must even take the weapon of abuse out of the hands of the perpetrators of those wounds. In 2004, during the last business session which I moderated at the Baptist General Convention of Oklahoma, an extraordinary, godly woman from Quail Springs Baptist Church, OKC was elected second vice-president. I will never forget the sight from the platform as several men throughout the auditorium stood and literally turned their backs to the platform as they voted “against” the first woman to be elected to general office within the Baptist General Convention of Oklahoma. That moment was an awakening for me. I realized that any cherished principle that would ever CAUSE a Christian to be uncivil, unkind or unloving toward a sister in Christ is a principle that should be thrown out for the sake of obedience to the command of Christ to love one another. I am not offended by those who wish to argue with me over this point for your argument is not ultimately with me, but with Jesus Christ. It is His command, not mine. History will one day look back on how we Baptists in the 21st century treated our women who were called by God to minister. It is my prayer that conservative, Bible believing men will not make the same mistake our Southern Baptist forefathers made when they remained quiet two centuries ago as another minority experienced abuse. The ground at the foot of the cross is level so that there is no supremacy of whites, no supremacy of males, and no supremacy of the rich--the wall of partition has been removed, and we are called to love every believer in Christ the way Christ loves us. I will never forget the email I received from one of the young ladies in our Baptist seminaries who wrote me, confiding that she typed with tears in her eyes, having just come from her “preaching class” where the professor allowed all the “men and boys” in the class to remove themselves from the room so they would not be subjected to hearing a woman teach the Word of God. The young lady found herself preaching to the walls and wondered whether or not she had a place in Baptist life. I reminded the young lady that she was not preaching to the walls, but to the Father, the Son, and the Spirit who were One in her midst as she preached. The prophet declares that God sings over His people with joy (Zephaniah 3:17) and I guaranteed her that the Father sings all the louder over a woman who unashamedly and boldly declares the glories of His Son! I have a dream that a woman like Wendy Norvelle, former acting Vice-President of the International Mission Board, will be promoted to a permanent position of leadership among Baptists because of her qualifications and gifts–-and not barred from promotion because of her gender. I have a dream that a Southern Baptist woman like Major Paige Heard, the Regimental Army Chaplain at the historic West Point Military Academy, will be heard preaching the gospel at 10:30 a.m. every Sunday at the historic Cadet Chapel, and we Baptists will all know and believe that Major Heard is honoring Christ in her proclamation of the gospel and be proud to call her one of our Baptist chaplains. I have a dream that Baptists will one day make much over the gospel that women like Sarah Stewart preach and absolutely nothing over the gender they possess. I have a dream that unlike slavery in the 1800’s, Baptists in the south will realize the Bible speaks against patriarchal homes where wives are slaves to their husbands, autocratic churches where women are servants to leaders, and authoritarian societies where women are subservient to men. I have a dream that young women in our Baptist Conventions can follow great women missionaries of the past and travel overseas to share the gospel with both men and women, baptizing converts in the name of Jesus Christ and nurturing them in the ways of Scripture–- just as Lottie Moon did over 150 years ago. If some Baptists would say to me that my dream is simply capitulation to the agenda of radical feminists, I respond with loving, but firm words: “No, setting Baptist women free to serve is not relenting to societal or cultural pressures, but rather, it is fulfillment of the commandment of Christ Jesus Himself.” Regardless of whether or not my fellow Baptist conservatives agree with what I believe the Bible teaches regarding the real equality of women in Christ’s kingdom, there is no wiggle room when it comes to the commandment of our Lord. Every Baptist is obligated to love our Baptist women as Jesus has loved us. I do not know of one time when Christ has ever withheld from me any good gift, has stifled my expression of any praise of Him, or shut me up from proclaiming His Word – so logically His commandment to love my sisters in Christ as He has loved me should negate any and every attempt to withhold from our faith community a Baptist woman gifted by Christ. Our obedience to His command should preclude any attempt to stifle a Baptist woman compelled to publicly praise Jesus Christ. It should lead us to resist any effort to shut up or censor any Baptist woman called to preach Christ and Him crucified. It is impossible for my Baptist brothers to point to any text – let me repeat this–-it is impossible for my Baptist brothers to point to any text, that is properly understood in its context, that ever compels Baptist men to suppress Baptist women in terms of ministry. On the contrary, we are called by our Lord to support and love those women of faith just as our Lord has loved us. Black Mesa is in the far northwestern edge of Oklahoma’s panhandle. Its summit is 4,972.9 feet above sea level, just under a football field of being one mile high. It is the highest point of elevation in Oklahoma. People come from all over the world to observe the stars that “kiss your nose” at night on Black Mesa. This past June, on a sunny afternoon, I hiked to the top of Black Mesa. As I rested and reflected on the plateau before my descent, my eye caught a passenger jet flying east to west above me. I could clearly see the plane’s fuselage and the long, white crystallized cloud the jet formed as it crossed the blue sky. I thought about the couple of hundred passengers heading west. Then I looked down and saw a Burlington Northern - Santa Fe train snaking its way west as well. Beside the train was a modern state highway where a handful of cars were also heading west. Just a few miles south of the railroad tracks and the highway, easily seen from my position on Black Mesa, was the Old Santa Fe Trail (Cimarron Cutoff). Most travelers and traders heading west in the 1800's took this trail by horseback, wagon or foot. As I was thinking about all this, I pulled out my Blackberry Curve and saw that I had missed a couple of calls. And then it hit me. For the past 200 years the mission of every person who traversed the land before me was simple–-go west. Their mission never changed and was the same-–west, west, go west! But the methodology of going west has changed over the years – from foot, to horse, to wagon, to train, to car to plane! How foolish would it be for someone today to use the same methodology that was being used in the 1820’s to fulfill the mission of heading west. For Baptists our mission has not changed for the past 200 years–-nay, for the past 2000 years. Our mission is to proclaim Jesus, to preach Jesus, to publicize Jesus, to present Jesus, to give Jesus to a lost and dying world. Our mission is all about the story of Jesus. Men and women of faith are called by the One who commissioned us to support and love one another as we seek to fulfill that mission. 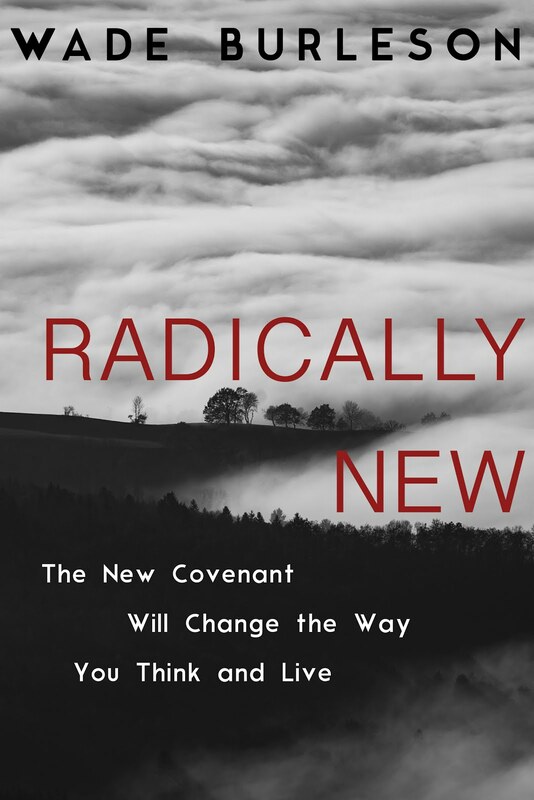 It is time we Baptists see that the methodology by which we share Jesus must change, or we will die a slow death without ever accomplishing our mission. Whenever institutions crystallize their methodologies rather than their mission, the institution becomes brittle and dies. Jesus commands us to love each other–-love those different from us, love those on mission with us, love each and every follower of Jesus. How we fulfill our mission will continually change. The walls are down. Our methodologies should be fluid, but our mission shall never changes. You may not like the fact that women are now being called by God to preach, or called by God to do missions, or called by God to teach. You may even consider it a violation of your principles for a woman to teach a man, or preach Christ to a man, or baptize a man, or lead a man, but there is one thing that you and I cannot--we must not--forget. You and I are called to love each and every sister in Christ who feels called to ministry. We are called to affirm the dignity of every Christian woman called to minister. We are commanded to treat them with respect and civility. We are also called to love, respect and affirm the autonomy of local Baptist congregations and denominations that utilize these gifted women in ministry as they see fit. To censor them, reject them, abuse them or condemn their character is a sin of the first order. The principles Rick Warren gave to the Muslims one month ago are just as relevant to all us Baptists today and for the years to come. The only way we will ever have peace between Christians and the Muslims in this world is when we Baptists first begin to value the dignity of our sisters in Christ who are called to minister, to respect those churches that call them to serve, and to protect the individual freedoms of our fellow Baptists to think, believe and act as their conscience leads them in obedience to Christ and His Word. It is only then that we will we display the kind love that Jesus says will distinguish us from the rest of the world. May the God of all peace give us the grace to live in this manner before all people for Christ’s sake. Amen." Last night I heard for the first time an extraordinary preacher from Texas at the Midwest Region New Baptist Covenant Conference. 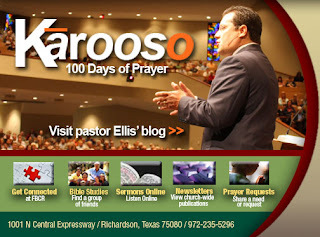 With an eloquence like Spurgeon, a passion comparable to Moody, and a penetrating and prophetical exegetical skill like that of Lloyd-Jones, the young pastor of First Baptist Church, Richardson, Texas, Ellis Orasco, preached the finest message I have heard in the last twenty-five years. His message was entitled "The Baptist Legacy and Poverty," yet his subject matter was Jesus ... what Jesus says about poverty ... what Jesus commands His followers to do about poverty ... the obstacles in the church that prevent us from being change agents in a world growing increasingly hostile to the Christian church and apathetic to the poor, etc ... I realize that we preachers are prone to hyberbole, but my feelings are heartfelt. Other than meeting Ellis in the elevator earlier in the day, though I had heard of him, I had never before met him, much less heard him preach. His message tonight in Norman, Oklahoma needs to be heard if at all possible - from beginning to end. In the archive it begins at General Session 2, at the one hour and twenty four minute mark. Don't give up on it. May God move in your heart as he did mine. Rachelle and I had the privilege this week of eating supper with Dale and Enid Rust, two wonderful believers and fellow members of Emmanuel, Enid. Dale is a very successful businessman with investments in several states. Rachelle and I enjoyed the fellowship and we both learned a great deal from these two wonderful saints. Their humility, grace and wisdom was refreshing to us. Today, Dale sent me an email which contained another tidbit of wisdom that really spoke to my heart. It is a poem written by Rudyard Kipling (pictured left) entitled "IF." 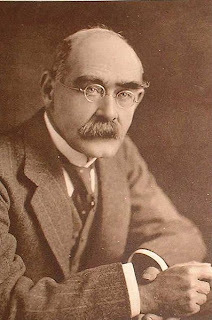 Rudyard Kipling (30 December 1865 – 18 January 1936) was a British author and poet who was born in Bombay, India. He is the author of The Jungle Book (1894) Kim (1901) and The Man Who Would Be King (1888). His poems, including Mandalay (1890), Gunga Din (1890), and If— (1910) are as well known as his books. Kipling is one of the most popular writers in English history. The author Henry James said of him: "Kipling strikes me personally as the most complete man of genius (as distinct from fine intelligence) that I have ever known." In 1907, Kipling was awarded the Nobel Prize in Literature, making him the first English language writer to receive the prize, and to date he remains its youngest recipient. The Poem "IF" is written from the perspective of a father who is giving advice to his son. The poem, printed below, is another evidence that God is able to speak through the arts to His people. On January 30, 2009, David Letterman apologized to a national television audience for the one and only time he ever censored a guest comedian on The Late Show. Fifteen years earlier, on October 1, 1993, 32 year old stand-up comedian sensation Bill Hicks, found his routine edited completely out of that night's Late Show broadcast. The censorship, approved by Letterman himself, rankled Hicks enormously. The show would have been his twelfth and final appearance on Letterman. Hicks died just four months later, on February 26, 1994 of pancreatic cancer. Letterman's apology this past January, complete with an appearance from Hick's elderly mother, made for fascinating television. While most people have never heard of him, many professional comedians idolize him. In 2005, 12 years after his death, Hicks' act was ranked in the top twenty comedic acts of all times by fellow comedians. Comedy Central ranked Hicks 19 out of the 100 top comedians in the history of the world. In a poll taken just two years ago, the people of Great Britain ranked Bill Hicks #6 on the list of the top 100 comedians of all time. His act was edgy, so vulgar, so "ahead of his time" that Rodney Dangerfield once quipped, "his parents haven't even met yet." Hicks glorified drug use, incorporated most of his experiences while high on cocaine, heroine, and LSD into his routine. He mocked all things sacred, southern and sure. One of his favorite acts, first introduced in 1984 during his first appearance on The Late Show revolved around a fictional character named Elmer Dinkley from Enid, Oklahoma - a character Hicks continued to develop until his last public performance. What fascinated me in watching the Letterman broadcast was thinking about those things Bill Hicks and I have had in common. Bill was . . .
(1). Born in Decmember of 1961. (3). Carried the first name "William." (4). A teenager when he began speaking in churches. (5). Fond of telling others about Enid, Oklahoma. (6). The only person in his field censored by peers. (7). A person who liked to make others laugh. As Bill Hicks lay dying of pancreatic cancer, he tried to get his Southern Baptist dad to inhale mushrooms. Bill Hicks died pushing artificial highs on his father. The laughter ended on February 26, 1994. Today my father and I laughed together over the phone. We're having fun, sharing joy together, talking about Christ and what He's doing in our lives and in the lives of others. We get excited about showing people the real and present joy of knowing Christ and being enjoyed by Him. I share Christ with others because I know Him to be the way, the truth and the life. "What makes me different from Bill Hicks, a man with whom I share much in common?" There is nothing inherent in me that makes me different from Bill Hicks - I'm not inherently smarter, I'm not inherently better, I'm not inherently more enlightened. I, too, could have found my life wasted in a haze of drug induced imaginations and razor sharp confident humor - but God intervened and brought me to faith in His Son. For that reason I can't get angry at people who love a Borat/Bruno/Hangover, x-rated atmosphere that frivolizes sin, scoriates the sacred, and embraces every poor and temporary substitute for lasting happiness that only Christ brings. I would love the same things were it not for God's grace. Christ does make me laugh, but it is the kind of laughter that springs from a heart full of gladness, not the empty laughter of irony, vulgarity or silliness - what Paul calls "behaving unbecomingly" (I Corinthians 13). I pity the Bill Hicks of this world. I pity them because they are not able to stop the silly laughing long enough to ask what happens when the laughter ends. 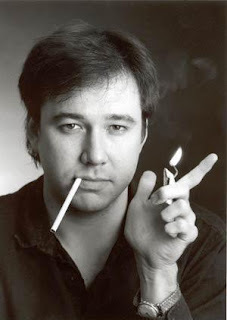 If you are one who has read this blog because you are curious about Bill Hicks and googled his name for more information about his life and his comedy, my prayer is that God, by His grace, will awaken you to your great need of knowing, enjoying and glorifying God through surrendering your life to Jesus Christ. I should count the days, not by what I have of new instances of usefulness, but by the times I have been enabled to pray in faith, and to take hold upon God. Prayer should make room for itself; it should interweave itself into all work for Christ. 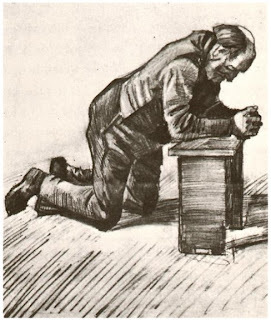 In the incessant occupations, the bustle of even right things, Satan may find his opportunity to hinder prayer. The devil is aware that one hour of close fellowship, of hearty converse with God in prayer, is able to pull down what he hath been contriving and building many a year; Satan, like the lapwing, drew me away from the real object (prayer and fellowship with God) by suggesting every now and then something about some other part of my work…and so the best hours of yesterday were in a great measure lost, so far as ‘prayer and transfiguration’ might have been.